The next upcoming National Day of Prayer is on Thursday May 2nd, 2019. National Day of Prayer is held on the first Thursday of May. Several million people from different faiths are called to pray for the United States and its leaders. The National Day of Prayer is orchestrated by the National Day of Prayer Task Force made up of 40,000 volunteers across the United States with more than 35,000 prayer gatherings. Events include prayer breakfasts, music performances, prayer walks, worship and prayer services. It includes all faiths to pray for the country in their own way. 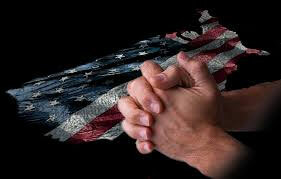 The National Day of Prayer started on April 17, 1952 by President Harry Truman signing the bill into law. President Reagan designated the first Thursday of May as the official National Day of Prayer in 1988. Every year the President will issue a proclamation designating the National Day of Prayer on the first Thursday of May.